If you've been following me in Instagram you may have already seen the new paintings I've been working while I dream of the sea. Here's SO hot and not a single drop of water.... makes me wish I'm in the beach, enjoying the water and the beautiful sea. 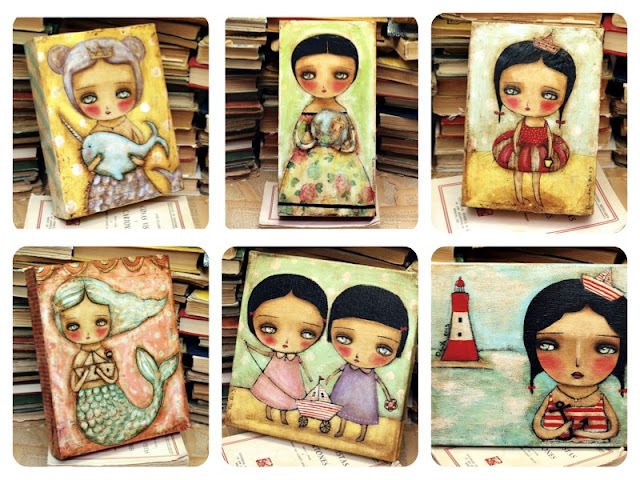 Visit my Etsy Shop and take a look at my dreamy seas, full of mermaids and paper boats. Since there's no prospect of going to the beach any soon, I will keep dreaming and painting, and maybe sooner than I think I'll be there, jumping on the waves and watching my children build sand castles and chase crabby crabs. Thinking about the sea... new mermaids!